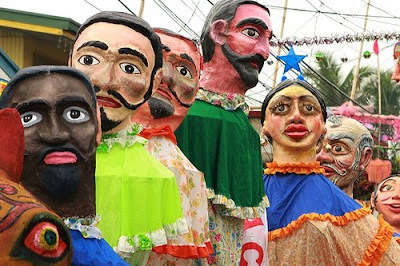 The Higantes Festival, Angono’s joyous fiesta in honor of San Clemente whose image, resplendent in papal vestment, is borne by male devotees during a procession accompanied by “parehadoras”(devotees dressed in colorful local costumes, wooden shoes and carrying boat paddles and “higantes” giant 10-foot paper machete puppets go on parade in the town). 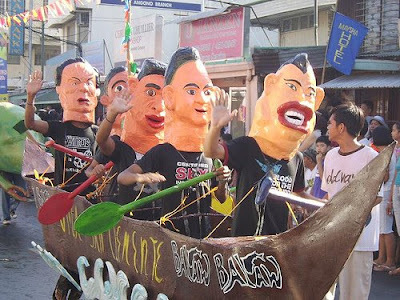 The street event culminates in a fluvial procession in Laguna de Bay amidst revelry that continues until the image is brought back to sanctuary and it is celebrated during 3rd week in month of November. 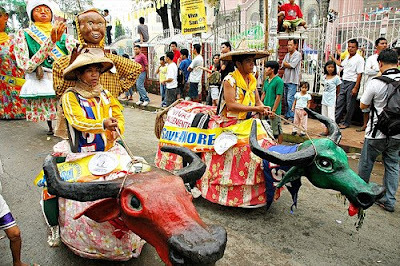 Awww… actually I supposed to set my schedule for this Sunday November 23, to witness the celebration but unfortunately I have to go and travel in Ilagan City at Mindanao province prior to my work. 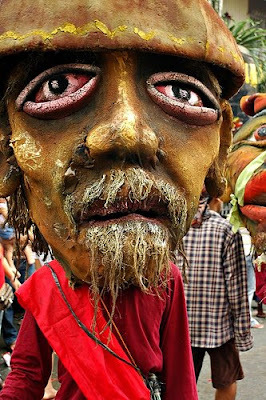 So I hope the photos and link posted here could give you an enough satisfaction of Higantes Festival celebration. I'm giving Big Thumbs up! for all photos of this people : Ting06, Malouscat, Waffy Casem, Ferdzdecena, and Orio_21. TYVM! 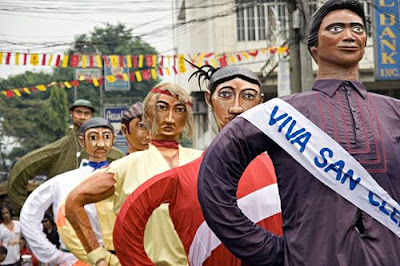 bata pako, isa na itong higantes festival sa inaabangan ko...galing talga ng kulturang pinoy, mabuhay tayo.! hi! what a nice blog, your country is so beautiful, and your great pictures are showing that!!! what about a link exchange?let me know and have a nice day in Philippines! 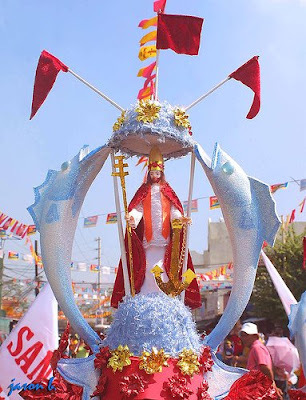 Our country really has plenty of colorful, joyful and valuable festivals. Thanks for hopping! Thank's for adding me in your blogroll. But there's mistake for link. It's belong to my feed. My URL is http://beautytrista.blogspot.com NOT http://beautytrista.blogspot.com/feeds/posts/default. Hope you can fix it. Thank's. God Bless You. Thank's for linking me in your blogroll. But i'm not understand when i check my link in your blogroll, it's read http://gospelcollection.blogspot.com/feeds/posts/default. I's my feed, bro. Can you change it to my homepage? My URL is http://gospelcollection.blogspot.com Thank's. May God bless you always. mabuhay ang pinoy!! im proud to be one!! thanks for sharing these great pix..miss pina na talaga!! Interesting! !it's like ondel-ondel in Indonesia. Your country is lovely, always with beautiful festivals and more. I cannot stop looking at the colourful pictures you post from time to time! Better yet, I want to visit Philippines!! 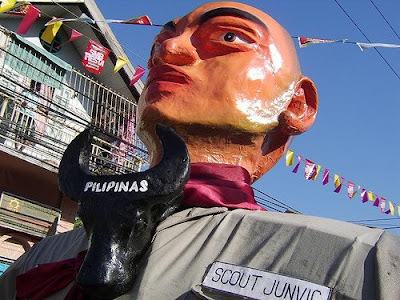 hello, sana po,nilagay nyo ung year or century kung kelan nagsimula ang higantes fest and i was allowed to visit your locality and found a peice at your coltural building ba yun?